A septic system is located underground and treats wastewater from your house. 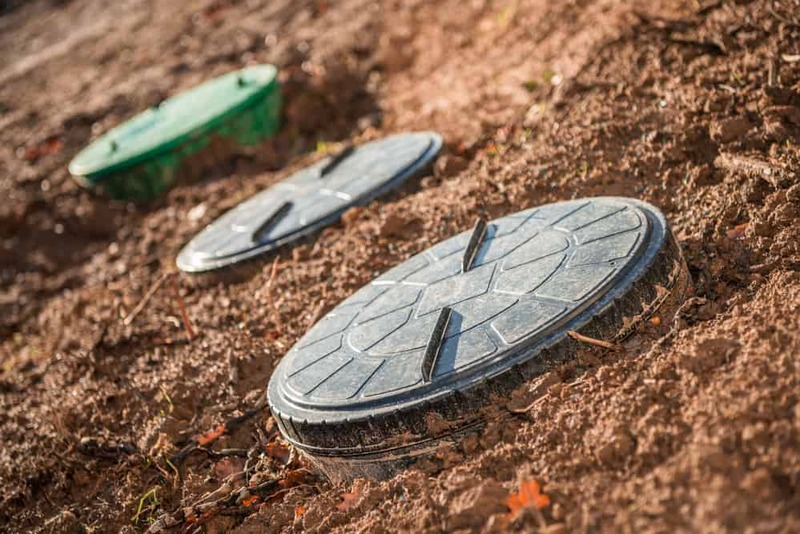 Normally, septic systems are found in rural areas lacking central sewer systems. The system uses special technology to treat water from bathrooms, kitchen drains and laundry. Usually, a system includes a septic tank and a drainfield. First, the tank breaks down organic matter and separates solids from the wastewater. Next, drainfields provide further treatment for the wastewater by allowing it to gently flow through perforated pipes, a layer of gravel, and down through the soil. The naturally occurring organisms in the soil help treat the wastewater. First of all, wastewater from your bathroom, kitchen drains, and other drains flow through a main drain pipe to your tank. The tank is underground and designed to be air tight to avoid leaks. The wastewater remains in the tank until solids settle to the bottom and substances like oil float to the top. Then, naturally occurring bacteria breakdown these substances; however, not all sludge is eliminated. This is why tanks must be pumped periodically. Next, the remaining liquid wastewater slowly leaves the tank and enters the drainfield. At the same time, new wastewater from the house enters the tank. The drainfield is designed to absorb the wastewater. The soil filters and cleanses the wastewater as it drains slowly down, finally reaching the groundwater. How Do I Know if I Have a Septic Tank? How Do I Locate My Tank? If too much liquid enters your drainfield it may flood! This means sewage could flow to the ground surface instead of being absorbed correctly. Your toilets, sinks and drains could back up too. Not only is this dangerous, but it is also expensive to fix. We’ve compiled some helpful tips to avoid septic system flooding: click here. By now you hopefully have a better understanding of how a septic system works. If you keep up with maintenance, your system will most likely last longer and avoid costly damage brought on by flooding or blockage. Keep a close eye on your system and make note of any changes or possible issues. If you notice any areas for concern or think you are due for system maintenance, don’t hesitate to contact us for help. Clear Drain Cleaning professionals quickly recognize any problems and provide suitable, safe, reliable and effective methods to address any issues your drains, pipes or septic tank are facing. Clear Drain Cleaning is a local owned company that specializes in residential and commercial drain, sewer and septic services such as electric drain cleaning and hydro jetting. Our tools and methods are safe, reliable and fast. We’ll have your drains, sewage and septic systems clear and running smoothly in no time! We proudly serve Holmes County, Wayne County, Tuscarawas County, Coshocton County, Stark County, Ashland County and Carroll County. Contact us today and Like Us on Facebook!